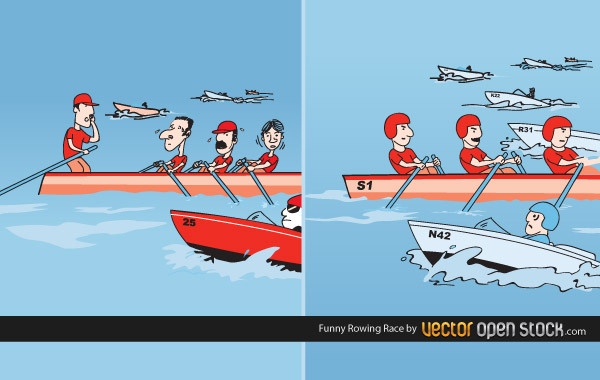 Funny rowing race. Team of canoeing trying to win a race against a motor boat. Funny and simple drawings. Under Creative Common 3.0 Attribution license.